8Yes, everything else is worthless when compared with the infinite value of knowing Christ Jesus my Lord. For his sake I have discarded everything else, counting it all as garbage, so that I could gain Christ 9and become one with him. The Apostle Paul puts everything in perspective in these two sentences – when compared with the infinite value of knowing Christ everything else is worthless, and as such, seeking Him wholeheartedly is the only appropriate response. Paul says that he has discarded everything so that he might gain Christ – that he might become one with Him. That’s what a seeking heart looks like. It is the heart that lays aside everything else to pursue what is most important. Earlier in the chapter Paul exhorts the Philippians to “put no confidence in human effort” but to rely wholly on Jesus. Paul had plenty of human effort he could put confidence in – he was born into the right family, went to the best schools, got the best grades, lived the most righteous life, and was more zealous than all – but he had come to understand that all those thing which he formerly considered of utmost importance were rubbish when compared to knowing Christ. The things were not bad in and of themselves. They were just worthless in obtaining salvation and rubbish compared to knowing Christ. There’s nothing wrong with being from a “good family,” going to good schools, studying to get good grades, living a holy life and/or being zealous. I have a masters’ degree in Christian ministries. That’s a good thing. I value it. But I don’t put confidence in it to earn my salvation and compared to knowing Christ – it’s nothing – it’s a representation of human effort and knowing Christ is a spiritual journey. 10I want to know Christ and experience the mighty power that raised him from the dead. I want to suffer with him, sharing in his death, 11so that one way or another I will experience the resurrection from the dead! Paul wants to experience the mighty power that raised Christ from the dead – that’s the mountain top experience. He also wants to suffer with Christ, sharing in His death – that’s the valley experience. Paul wants to experience – to be as one with – Christ. He wants to know Him. 12I don’t mean to say that I have already achieved these things or that I have already reached perfection. But I press on to possess that perfection for which Christ Jesus first possessed me. 13No, dear brothers and sisters, I have not achieved it, but I focus on this one thing: Forgetting the past and looking forward to what lies ahead, 14I press on to reach the end of the race and receive the heavenly prize for which God, through Christ Jesus, is calling us. 1Therefore, since we are surrounded by such a huge crowd of witnesses to the life of faith [that is, all the saints who have gone before us], let us strip off every weight that slows us down, especially the sin that so easily trips us up. And let us run with endurance the race God has set before us. 2We do this by keeping our eyes on Jesus, the champion who initiates and perfects our faith. Because of the joy awaiting him, he endured the cross, disregarding its shame. Now he is seated in the place of honor beside God’s throne. That’s wholehearted seeking that honors God. That’s wholehearted seeking that God honors. 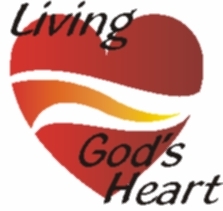 This entry was posted on Wednesday, January 30th, 2013 at 10:09 am and is filed under Christian Living, Experiencing God, Intimacy with God, Our Priorities, Passion for Christ, Trusting God. You can follow any responses to this entry through the RSS 2.0 feed. Both comments and pings are currently closed.